We are pleased to announce that the Child Care Center at Hort Woods at Penn State has won a 2017 Merit Award from the Pennsylvania Delaware Chapter of the American Society of Landscape Architects! 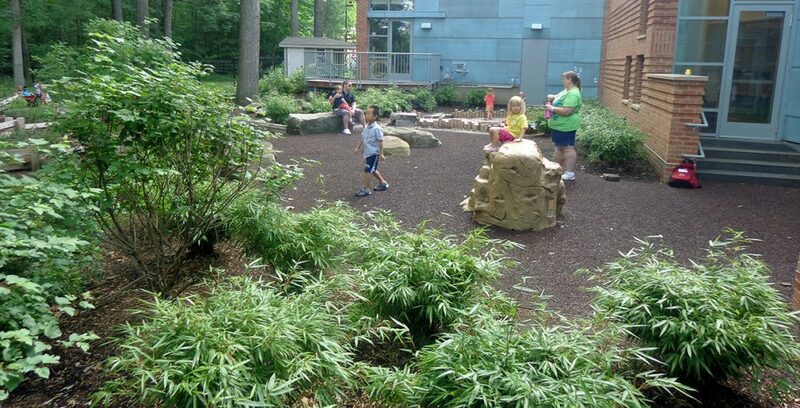 We were the landscape architect for the project, part of an integrated team including architects StudioMLA and nature play expert Robin Moore from the Natural Learning Institute. The design of the outdoor learning environment reflects the University’s understanding that environment is curriculum and that contact with nature is central to children’s well-being and development. The sensory-rich design provides a variety of settings and elements that immerse children in a daily experience of nature. Children develop ecological literacy as they play, learn, and build in the shade of mature oak trees preserved throughout the playground. Learn more here.